Apple’s annual Worldwide Developers Conference kicked off yesterday in San Francisco and as expected, the Cupertino giant has unveiled iOS 8, the next generation of iOS. Apple also unveiled the latest OS X update dubbed Yosemite. 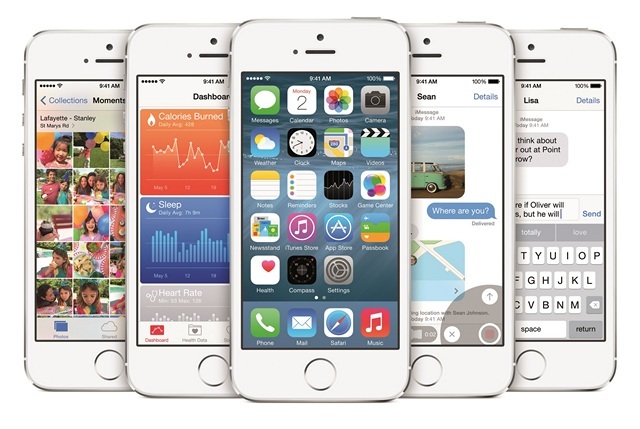 The iOS 8 marks the era of a more open Apple, as there are features many thought would never make it to iOS. While most of the features might seem a lift up from Android, we are glad they are finally here. The next major release of iOS surely packs in a lot of change. The iOS 7 was all about the visual overhaul while iOS 8 is all about the new features. So, let’s get started, shall we? iOS 8 finally brings interactive notifications. Users can now interact with notifications from the notification center and even the lockscreen. The multitasking interface gets an added row of recent contacts on top, which is a good touch. Safari gets the new tab interface from its elder OS X sibling. Apple has also finally introduced widgets in iOS although there’s a change. The homescreen will not pack in those widgets, instead you’ll find them in the notification center. The iOS keyboard now gets predictive text and now, there’s also support for third party keyboards like Swiftley, Swype etc.. Spotlight has also gone through an overhaul of sorts. The cross search experience now lets you search for uninstalled apps, songs and more. As it was rumored, iOS 8 brings a HealthKit suite, which collects data from the various third party health accessories and tracking apps. For the health suite, Apple has partnered with the likes of Nike, Mayo Clinic etc.. Apple also introduced Family Sharing, which is a new feature that lets you share media with different devices under the same account. iMessage has also got new features, which should make it more competitive against the likes of WhatsApp. There’s the “tap to talk” feature, which lets you send audio and video message on the go. The email client on iOS has also bee improved and now, there’s a simple swipe to discard an email. 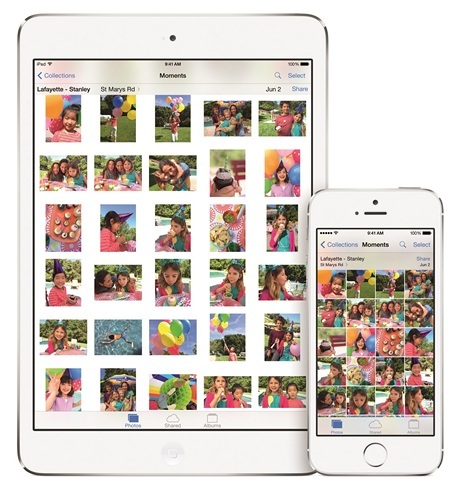 There’s Smart Editing in Photos now and all your changes to a picture will be cross synced with your other iDevices. There are also new controls to edit your pictures. Siri too has received an update albeit a minor one. It gets new languages, Shazam support in the new update. Apple Maps gets updated with support for China and there are other improvements in respect to the country. With iOS 8, Apple has finally opened up the TouchID fingerprint scanner to third party apps. Apple has also overhauled the App Store. The company has added 4000 new APIs to create support for app bundles and video previews in the Store. Developers will also be able to invite users for closed beta tests of an app. Apple has also introduces Metal, which is a new graphics system designed to improve graphical performance of hardware running on Apple’s A7 chipset. According to Apple, the Metal graphics system will allow the game developers to reach new heights in visual detail. The company also announced a brand new programming language dubbed Swift, which is said to be a modern language “without the baggage of C.” It will work with existing codes but should offer benefits in speed. 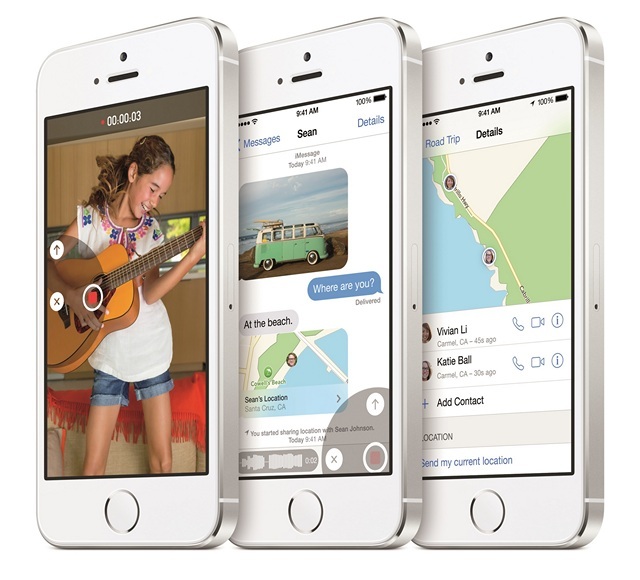 The iOS 8 Developer Beta has been released today while the stable release will make it to various iDevices this fall, which means around October. iPhone 4s and forward iPhones will get the update along iPad 2 and forward. The iPod Touch will be the only music player to get the update.